With this new website, I’ll be able to keep the documentation updated more frequently, as well as make it easier for you to access help in one place across my range of restaurant products. For example, the Restaurant Reservations documentation now also includes help sections for each of my commercial addons. I’m still in the process of building out better developer documentation for those who want to customize my plugins or themes. 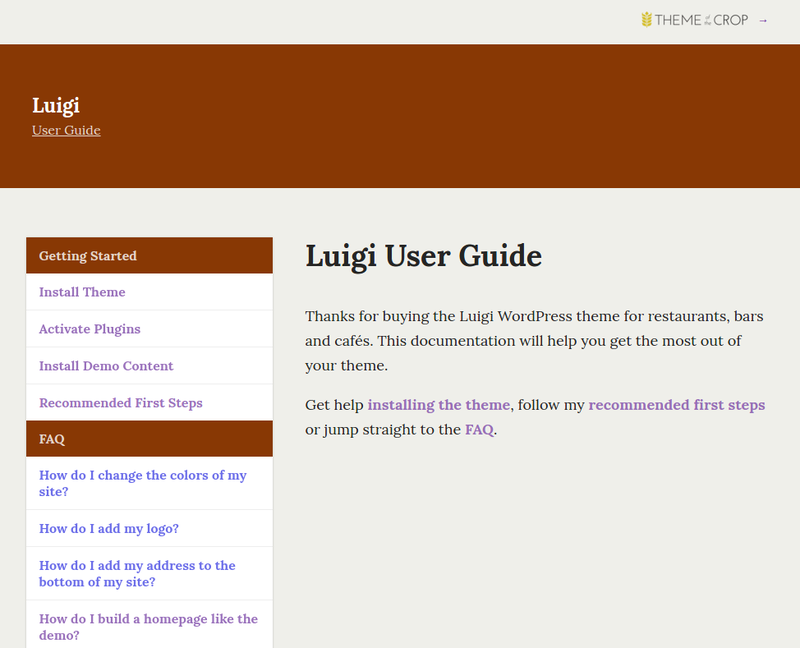 And I still need to port over documentation for some of my past themes. You may have guessed it already, but this has come together because I’m preparing the documentation for my next restaurant theme, Luigi. I’m really excited about what this theme has to offer and the docs give you an early glimpse.